Mountain Family Health Centers is excited to be one of fifteen community health centers nationwide to receive a Healthy Lifestyles, Health Communities grant from Henry Schein, Inc. The $5,000 grant is designed to assist Mountain Family with hosting a public health event, to provide free medical and dental services for underserved children and their caregivers. The goal is also to connect children and their families with Mountain Family for their healthcare home. For Mountain Family, this grant will allow for the provision of additional services at the Latino Health Fair this fall. Mountain Family has worked in partnership with radio station La Tricolor to offer health screenings at this popular fair in previous years. 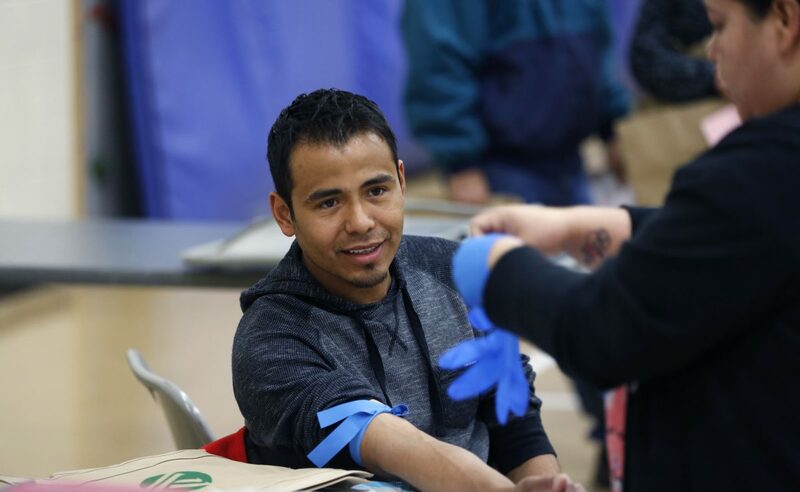 The turnout at the 2016 fair was far greater than expected and Mountain Family provided 151 blood draws for laboratory analysis to assess health over the course of three hours. Residents receiving blood draws represented a wide age range, with entire families having blood drawn. In addition to the $5,000, Henry Schein will provide equipment and staff support for the event. Mountain Family Health Centers Operations Support Coordinator Jackie Marshall says the goal is to provide dental screenings and other additional screenings at the upcoming 2017 Latino Health Fair this fall, such as for asthma and obesity. If the fair takes place in October, which is Breast Cancer Awareness Month, Mountain Family may provide breast cancer screenings.